Sully Island is a small tidal island and Site of Special Scientific Interest at the hamlet of Swanbridge, Vale of Glamorgan, 400 yards off the northern coast of the Bristol Channel, midway between the towns of Penarth and Barry and 7 miles south of the Welsh capital city of Cardiff. Watercolour artist Thomas Frederick Worrall, who lived in Barry from 1913, painted many views of the island. Two paintings have been deposited at the National Library of Wales and are to be digitised and made available on their web site. 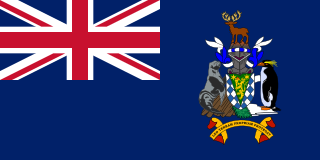 Scotia Bay is a bay 4 km (2.5 mi) wide, lying immediately east of Mossman Peninsula on the south side of Laurie Island, in the South Orkney Islands of Antarctica. It was discovered and roughly charted in the course of the joint cruise by Captain George Powell and Captain Nathaniel Palmer in 1821. 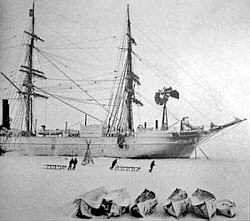 It was surveyed in 1903 by the Scottish National Antarctic Expedition under William Speirs Bruce who named it for the expedition ship Scotia.